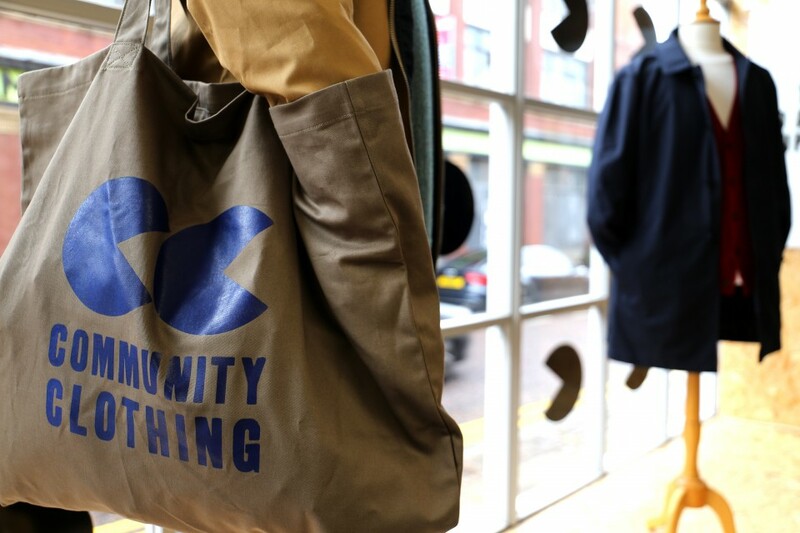 Community Clothing, the brainchild of fashion designer Patrick Grant has officially opened. The Saville Row tailor who is perhaps best known as a judge on BBC TV’s Sewing Bee, launched the Lord Street West shop yesterday. businesses leaders and people from the world of fashion. The shop is a showcase for the high quality of traditional making skills in the UK, using British made materials. It aims to keep British factories busy during their quieter periods and to make British clothing affordable to the high street shoppers. The shop also stocks clothing made in Blackburn, UK made socks and shoes as well as knitwear from a renowned factory in Hawick, Scotland, that has made clothing for high fashion brands such as Chanel. 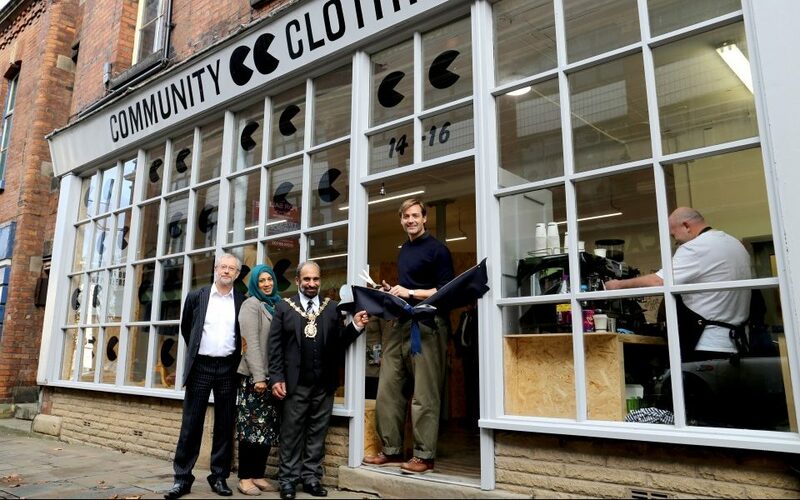 We are utterly delighted to be opening the first and only Community Clothing store in the centre of historic Blackburn. It’s vital for us that the brand has a physical home and we’re so excited to be in such a beautiful building with such an amazing story, and, we hope, to be in the midst of the regeneration of this beautiful part of town. Blackburn with Darwen Council has worked with Patrick to find a property for the new business and is working on plans to bring the rest of the building back into use as part the new Townscape Heritage Project that will see the renovation of up to 25 historic buildings within the Blakey Moor, Northgate and Lord Street West area. Community Clothing is open Thursdays, Fridays and Saturdays, 10am-6pm and others days by appointment.